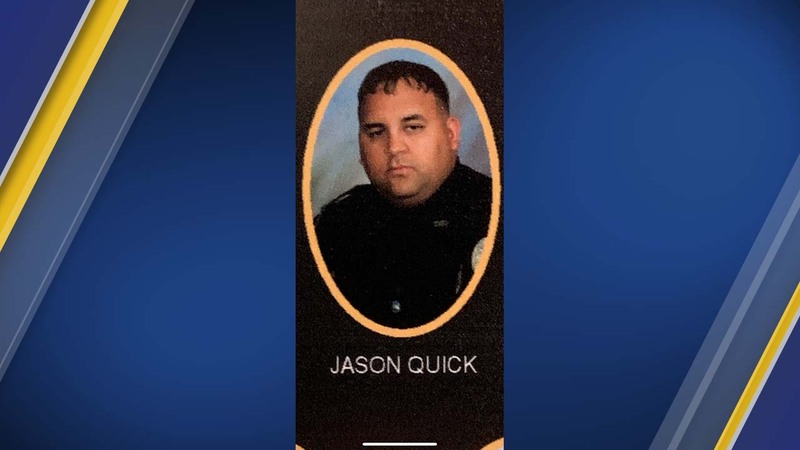 LUMBERTON, N.C. (WTVD) -- A Lumberton police officer died after being struck by a car while investigating a crash on I-95 early Saturday morning. Just after 6 a.m., Officer Jason Quick was dispatched to a traffic accident on I-95 Northbound near Exit 22. Lea Quick, Officer Quick's wife, spoke exclusively with ABC11 about her late husband. "He loved God, his family and the Lumberton Police Department," Mrs. Quick said. "Everyday he went to work I hugged him and kissed him and told him I loved him. The very last thing you want is an officer to show up at your door -- not your husband -- but another police officer to tell you about your husband." Too emotional to appear on camera, Mrs. Quick pleaded for drivers to slow down or stop when you see blue lights. The North Carolina Highway Patrol and the Investigator for the Robeson County District Attorney's Office are investigating the crash scene. "Our deepest condolences go out to the family and friends of Officer Jason Quick." Officer Quick is survived by his wife, and his two young children, Jaden and Madison. Quick is the 8th North Carolina officer to be killed in action this year, and the 6th to die from a traffic crash.